After so many times I’ve looked at this bag, I finally got it at Galleries Lafayette. 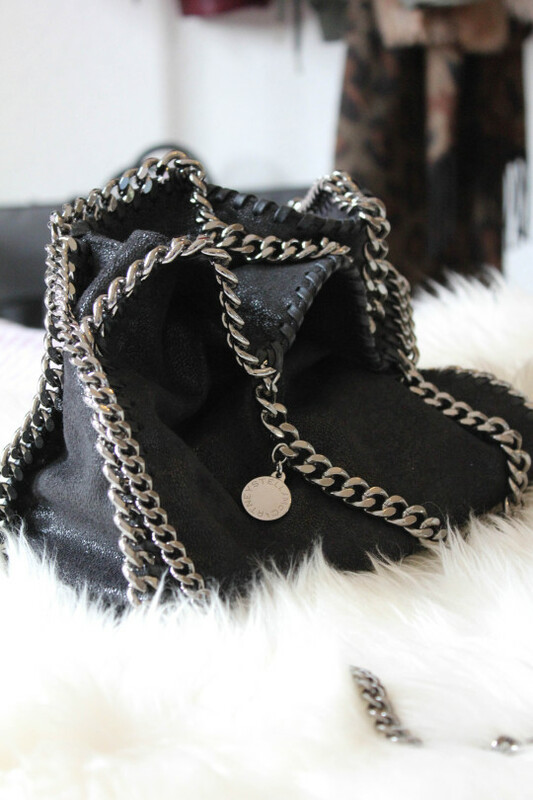 The lovely Falabella Mini bag by Stella McCartney. I hesitated a little when I saw it, because it’s very expensive for what it is. The leather is not real and it’s just the name that costs so much. After thinking about it for a few days, I just got it because I knew I’d regret it if I didn’t. I went for the Falabella Mini Tote, the perfect size for short girls like me. 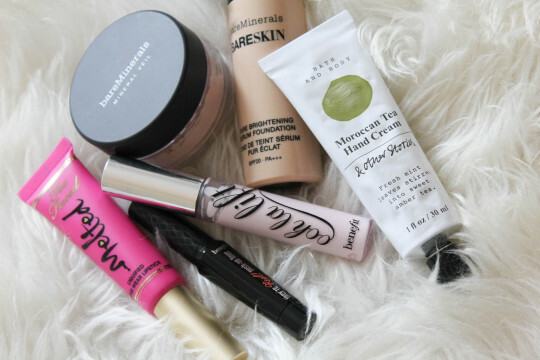 It holds a lot and is very handy for shopping, going out and daily life, + it looks super cool with boyfriend jeans. 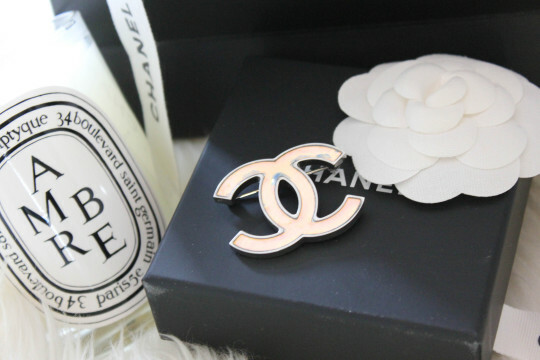 One of the things I also got when I was with my boyfriend is this lovely Chanel brooch. 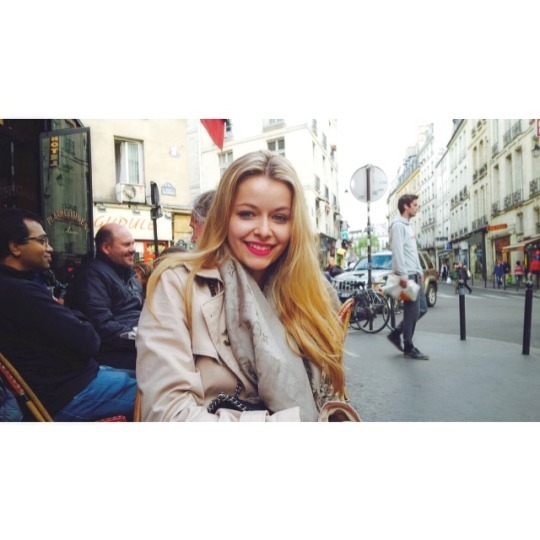 I was dreaming of a brooch for so long and I was just waiting to find the perfect one – and I found it in Paris! 🙂 Isn’t it just beautiful? I chose a solid silver Chanel logo brooch, just because I’ll be wearing it a lot and I don’t want any pearls or stones to break off. It also has different colours, depending on the light to shine in. – Maroccan Tea Hand cream by & other stories – seriously the best hand cream EVER! So that’s it, over all I was happy to stay in Paris but I also missed Zurich so much. Swiss people are so much nicer and have more respect (like in the public transports and on the streets). Paris is a wonderful city, beautiful architecture and lovely boutiques, but after all my heart belongs to Zurich! Vorheriger Beitrag How to go with orange!